I've learned a variety of things about motherhood over the past nearly-five years, but probably the biggest realization that I've come to? I haven't the slightest clue as to what I'm doing. No matter if you've had one child or you've had six, every baby is different and what worked with one sure might not work with another. Whereas Big Sister E was content to be laid back and relax in a bouncy seat, Little Sister B needed much more stimulation. When it came to sleeping, Big Sister E was more easy-going in that aspect as well - read her a book, feed her, lay her down, done. Little Sister B... not so much. So, because of her, I was introduced to swaddling and became a big fan of it. That's why when it comes time to recognize September as Baby Safety Month and the aspects of swaddling safety that all parents should know, I'm happy that HALO Innovations has stepped up to the task. Founded by a father of four, William Schmid, who spent years researching sleeping environments after losing his daughter to SIDS, HALO is fully committed to providing a healthier and safer sleep environment for children of all ages. As well as their collection of unique and amazing products, their site is filled with information for parents, hospitals and childbirth educations from experts on ways to keep all babies safe. For swaddling safety, there are two main points to keep in mind: avoiding suffocation and preventing Hip Dysplasia. 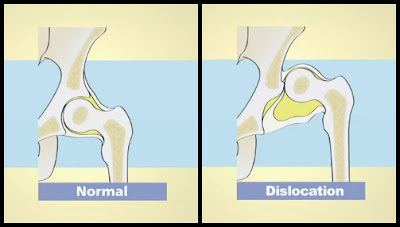 Hip Dysplasia is one of the most common conditions among newborn babies, affecting about 1% of North American newborns (around 75,000 per year). According to a recent survey HALO conducted, 82% of parents choose to swaddle, and swaddling improperly can lead to Hip Dysplasia or dislocation. Treatment ranges from wearing a harness or brace to undergoing surgery as these conditions can get worse with age and are linked to early adult arthritis and hip-replacement surgery. The American Academy of Pediatrics is urging Pediatricians to watch for signs of Hip Dysplasia and dislocation and to warn parents not to extend their baby’s frog-like legs straight when swaddling. There's a temptation to stretch the legs out and that needs to be resisted as babies need to be able to straighten themselves out naturally and gradually. Parents should allow for room in the swaddle – or sleepsack – for baby to bend at the hips. 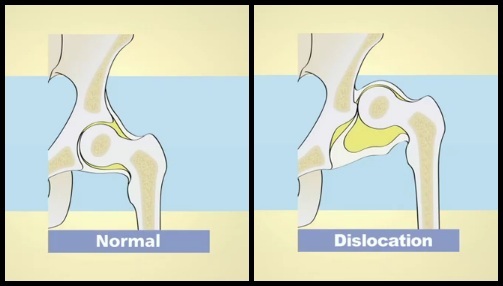 To find out more about Hip Dysplasia and how to swaddle safely, take a minute to view this video from Dr. Charles Price, Director of the International Hip Dysplasia Institute. Or, for tips on swaddling safely, specifically about avoiding suffocation, this video by Dr. Tanya Altmann, Pediatrician and mother, has great information as well. Fortunately, HALO makes it easy to start all newborns off right with their SleepSack Swaddle, the wearable blanket with a unique adjustable swaddle that allows for swaddling arms in or arms out for an easy and gentle transition when it's time to stop swaddling. Infants can stay warm and comfortable, while parents can rest assured that their health and safety is in place, as HALO's SleepSacks and Swaddles are the only products on the market approved "hip healthy" by the International Hip Dysplasia Institute. When it comes to safety and security, HALO Innovations is dedicated to helping every baby sleep safely. Who doesn't want to support an amazing mission like that? One lucky person will win a HALO SleepSack Swaddle*! Giveaway will end on October 12th at 11:59pm CST. Do me the favor of leaving an email address or making absolutely sure it is visible in your profile, I have to have a way to contact the winner. The winner will be chosen by random.org and announced here as well as emailed and will have 48 hours to contact me or respond to notification or a new winner will be chosen. This giveaway is open to residents of the U.S. and Canada only. A big thank you to HALO Innovations for providing the information for this post as well as a HALO SleepSack Swaddle for one lucky giveaway winner. The opinions shared are my own and honest and if you really need to see more, click here to see how I roll. I have had great experiences with swaddling my friends babies. It's very easy to do, and the babies like to be swaddled and warm. I am expecting now, and I plan to swaddle my baby. I also entered the Karen Kane giveaway! My baby is due in 6.5 weeks, so I'll have experience with swaddling then! We plan to swaddle with our family. My best friend has swaddled since day one and her little one has slept for 8-10 hours every night! Swaddling was a life saver for me because my son was a colic baby. i have never tried it, but im currently pregnant so I'm anxious to try! Honestly, I really can't remember whether I did or not, however, I'm definately using this for my sister who is due in January! I like swaddling as it makes the baby feel cozy and secure. well i have mixed reviews! my first daughter that is the only thing that would comfort her! my second daughter, she was a squirmer, she didnt want to be wrapped, held or cuddled so we didnt swaddle her once she started doing that. but up to tht point i definately think it helps make the baby feel more secure! I used halo sleep sacks to swaddle my now 3 year old and it was a lifesaver! She slept so much better, I am now using them with my son. I liked halo on FB! My boys always slept great when swaddled! Swaddling worked well for me when my girls were newborns. I could not get swaddling down with my son. I have a daughter due in December and I am really going to try it again. Have never tried this nor do I have kids but this would be a great baby gift for my boss! kinda want one big enough for me cuz it looks so cozy! I swaddled my daughter and it really seemed to help when she was young. 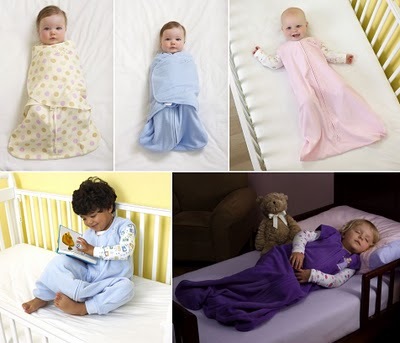 I'm a facebook fan of Halo SleepSack under username Jennie Tilson. I entered the QuickSmart Scramblebug or Scuttlebug giveaway. I entered the alli Wal-Mart GC giveaway. I entered the HalloweenExpress.com giveaway. I entered the Children's Place giveaway. I entered the Bright Starts Having a Ball Pop & Roll Roadster giveaway. I entered the Hellmann's Chicken Challenge giveaway. Swaddled my boys almost 30 years ago. My son and wife are expecting and this would make a great gift. Thanks. Entered Pure Pearls giveaway too. Entered Karen Kane giveaway too.